Mr. Israel, The Shimon Peres Story, produced in 2008, tells the compelling history of the State of Israel through the eyes of Israel�s octogenarian president who has been forging Israel�s destiny since its founding in 1948. 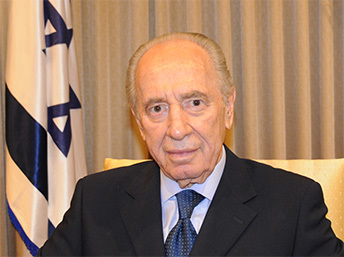 Willy Lindwer, conducted an exclusive interview with Mr. Peres on the eve of the celebration of Israel�s 60th Independence Day in which Peres revealed many previously untold tales of his life and career. Lindwer also interviewed Peres� daughter Zvia in a rare appearance, and close friend, Al Schwimmer, who helped bring vital weapons to Israel in its early years and later built Israel�s world-class aircraft industry. Lindwer spoke with Peres confidant and biographer, Michael Bar-Zohar, with Peres� political enemy Benjamin Netanyahu and with the senior Palestinian negotiator, Saeb Erekat.